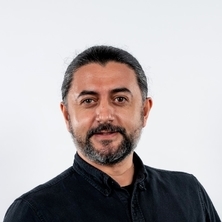 Bogdan is an experimentalist in colloid and surface science with Diplomat Engineer and Master degrees from Technical University of Iasi, Romania and PhD from Kyoto University, Japan. Bogdan held research positions at The University of Newcastle, Australia before moving to UQ in 2007. His current research interests include silica nanotribology, reverse osmosis membranes and microcantilever resonators. Taran, Elena , Lazarescu, Mihaela , Donose, Bogdan , Carlescu, Irina and Hurduc, Nicolae (2004) Atom transfer radical polymerization. 1. Investigation of the catalytic system based on Cu(0) and 2,2’-bipyridyl. Buletin I.P.I., L LIV: 45-47. Jiang, Guangming, Wightman, Elaine, Donose, Bogdan C., Yuan, Zhiguo, Bond, Philip L. and Keller, Jurg (2014). Understanding corrosion of concrete sewer using advanced mineral analysis. In: Ozwater'14, Brisbane, Australia, (). 29 April - 1 May 2014. Donose, Bogdan C., Harnisch, Falk and Taran, Elena (2013). Bubble probe microscopy: one step closer. In: Lee White, Plenary Presentations. The 6th Biennial Australian Colloid and Interface Symposium, Noosa, Queensland, Australia, (67-67). 3-7 February 2013. Guo, K., Freguia, S., Donose, B. C. and Rabaey, K. (2013). Detergent soaking and neutral red modification of graphite felt enhance biofilm formation and current generation of BESs. In: MFC4: 4th International Microbial Fuel Cell Conference, Cairns, QLD, Australia, (). 1-4 September, 2013. Pype, Marie-Laure, Patureau, Dominique, Wery, Nathalie, Bogdan Donose and Wolfgang Gernjak (2013). Influence of different reverse osmosis membrane impairments on the rejection behaviour of virus surrogates - lab-scale study. In: 2013 AMTA/AWWA Membrane Technology Conference and Exposition, San Antonio Texas, U.S., (195-203). 25-28 February 2013. Pype, Marie-Laure, Donose, Bogdan C., Marti, Llucia, Patureau, Dominique, Wery, Nathalie and Gernjak, Wolfgang (2013). Is ageing hard? A study of aged RO membranes and their integrity to remove virus surrogates. In: 8th International Membrane Science and Technology Conference (IMSTEC 2013), Melbourne, Australia, (). 25-29 November 2013. Flexer, Victoria, Chen, Jun, Donose, Bogdan C., Sherrell, Peter, Wallace, Gordon G. and Keller, Jurg (2013). New materials and pre-activation techniques enhance the current density of microbial bioelectrochemical systems. In: AP-ISMET 2013: The First Asia-Pacific International Society for Microbial Electrochemical Technologies Meeting, Harbin, China, (). 13-15 January, 2013. Flexer, Victoria, Virdis, B., Donose, B. C., Lefevbre, C., Marque, M. and Keller, J. (2013). Plasma treatment of electrodes significantly enhances the development of electrochemically active biofilms. In: Book of Abstracts: 4th Microbial Fuel Cell Conference. MFC4: 4th International Microbial Fuel Cell Conference, Cairns, QLD, Australia, (). 1-4 September, 2013. Flexer, Victoria, Marque, Marina, Donose, Bogdan C., Virdis, Bernardino and Keller, Jurg (2013). The effect of plasma treatment of electrodes on the development of electrochemically active biofilms. In: The 64th Annual Meeting of the International Society of Electrochemistry, Santiago de Querétaro, Mexico, (). 8-13 September 2013. Donose, Bogdan C. (2012). Hydrogen generation at nanoelectrodes. In: Abstract book: ICEAN 2012. 1st International Conference on Emerging Advanced Materials ICEAN 2012, Brisbane, Australia, (249-249). 22 - 25 October 2012. Keucken, Alexander and Donose, Bogdan C. (2012). Membrane fouling as revealed by advanced autopsy in a UF/Coagulation pilot trial for enhanced removal. In: International Water Association, 9th IWA leading-edge confernce on water and watewater technologies: Programme book. 9th IWA Leading-Edge Conference on Water and Wastewater Technologies, Brisbane, Australia, (51-51). 3-7 June 2012. Keucken, A., Donose, B. C. and Persson, K. M. (2012). Membrane fouling revealed by advanced autopsy. In: Program: Eight Nordic Drinking Water Conference. Eight Nordic Drinking Water Conference, Stockholm, Sweden, (). 18–20 June 2012. Guo, Kun, Freguia, Stefano, Gooding, Justin, Donose, Bogdan, Keller, Jurg and Rabaey, Korneel (2012). The effects of surface chemistry on biofilm formation and current generation in bioelectrochemical systems. In: Electrochemistry for Advanced Materials, Technologies and Instrumentation. 63rd Annual Meeting of the International Society of Electrochemistry, Prague, Czech Republic, (19-1). 19-24 August 2012. Donose, Bogdan C., Sukumar, Subash, Pidou, Marc, Poussade, Yvan, Keller, Jurg and Gernjak, Wolfgang (2011). Impact of pH on RO membrane performance in accelerated ageing. In: IWA-MTC 2011: 6th IWA Specialist Conference on Membrane Technology for Water & Wastewater Treatment, Aachen, Germany, (). 4-7 October 2011. Donose, Bogdan, Sukumar, Subash, Pidou, Marc, Poussade, Yvan, Keller, Jurg and Gernjak, Wolfgang (2011). Static hypochlorite induced accelerated ageing of RO membranes: The effect of PH on performance. In: Program and Abstracts: AWA Membranes and Desalination Specialty IV Conference. MDSC 2011: AWA Membranes and Desalination Speciality Conference IV, Surfers Paradise, QLD, Australia, (). 9-11 February 2011. Pype, Marie-Laure, Patureau, Dominique, Wery, Nathalie, Donose, Bogdan and Gernjak, Wolfgang (2011). Virus surrogate in reverse osmosis membrane. In: 3rd early carreer researcher membrane symposium, UQ St Lucia, (). 28-30 November 2011. Hines, M., Donose, B., Green, D. and Cooper-White, J. (2010). Bulk adsorption vs. microfluidic deposition of a four protein mixture: A dynamic force spectroscopy study. In: J. Drennan, ACMM21 The 21st Australian Conference on Microscopy and Microanalysis. 21st Australian Conference on Microscopy & Microanalysis, Brisbane, Australia, (). 11–15 July 2010. Assemi, Shoeleh, Donose, Bogdan C., Miller, Jan D., Nguyen, Anh and Tadjiki, Soheyl (2009). Characterization of water-soluble C60(OH)24 fullerol nanoparticles using asymmetrical flow field-flow fractionation and atomic force microscopy. In: 14th International Symposium on Field - and Flow - based Separations (FFF 2009), Rio, Patras, Greece, (). 5-8 July 2009. Assemi, S., Tadjiki, S., Donose, B. C., Nguyen, A. V. and Miller, J. D. (2009). Investigation of stability of nanoparticles using asymmetrical flow field-flow fractionation and atomic force microscopy. In: 237th ACS National Meeting, Salt Lake City, Utah, U.S.A., (). 22–26 March 2009. Hines, M., Donose, B. C., Nguyen, A. V. and Cooper-White, J. (2009). Protein coating technique affects surface topography and hematopoietic stem cell attachment. In: 8th World Biomaterials Congress 2008. 8th World Biomaterials Congress: Crossing frontiers in biomaterials and regenerative medicine, Amsterdam, Netherlands, (). 28 May-1 June 2008. Donose, Bogdan C., Taran, E., Hampton, M. A., Karakashev, S. I. and Nguyen, A. V. (2008). Interaction between a carbon nanotube and air bubble. In: G. Jameson, Chemeca 2008: Abstracts. Chemeca 2008, Newcastle, Australia, (). 28 September -1 October 2008. Hampton, M. A., Donose, B. C. and Nguyen, A. V. (2008). Nanobubble effect on nanoscale interaction between hydrophobic surfaces. In: Society for Mining, Metallurgy and Exploration Annual Meeting. Society for Mining, Metallurgy and Exploration Annual Meeting, Salt Lake City, Utah, United States, (). 24 - 27 February 2008. Stefanescu, Eduard A., Negulescu, Ioan I., Daly, William H., Donose, Bogdan C. and Nguyen, Anh V. (2008). Surface characterization of Laponite-Poly(ethylene oxide) nanocomposite films. In: Bulletin of the American Physical Society: 2008 APS March Meeting. 2008 American Physical Society (APS) March Meeting, New Orleans, Louisiana, U. S. A., (). 10–14 March 2008. Tadjiki, Soheyl, Assemi, Shoeleh, Donose, Bogdan C., Nguyen, Anh and Miller, Jan D. (2007). Characterization of water-soluble fullerene C60 nanoparticles using asymmetrical flow field-flow fractionation and atomic force microscopy. In: 13th International Symposium on Field- and Flow- based Separations (FFF 2007). 13th International Symposium on Field- and Flow- based Separations (FFF 2007), Salt Lake City, Utah, United States, (). 27-30 June 2007. Taran, E., Donose, B. C., Vakarelski, I. U., Shinto, H., Kanda, Y. and Higashitani, Ko (2007). Classification of Nano-Friction Characteristics of Silica Surfaces in Electrolyte Solutions Investigated by AFM. In: 81st Colloid & Surface Science Symposium. 81st Colloid & Surface Science Symposium, University of Delaware, Newark, Delaware USA, (17-17). 24-27 June 2007. Donose, B., Nguyen, A., Evans, G.M. and Yan, Y.D. (2007). Colloid forces between silica surfaces in alum solutions. In: Rhodes, M., Proceedings of Chemeca 2007. Chemeca 2007, Melbourne, Victoria, (389-394). 23-26 September 2007. Taran, E., Donose, B. C., Vakarelski, I. U., Shinto, H., Kanda, Y. and Higashitani, K. (2007). Friction characteristics of clean hydrophilic silica surfaces in solutions of normal and high pH's. In: Proceedings of: The 233rd ACS National Meeting. The 233rd ACS National Meeting, Chicago, IL USA, (). 25-29 March 2007. Donose, B. C., Franzidis, J. P., Hampton, M. A., Holuszko, M. E., Manlapig, E. V. and Nguyen, A. V. (2007). Hydrophobic-hydrophilic effects on sphalerite. In: Symposium on Flotation Fundamentals: Physics and Chemistry, Cape Town, South Africa, (). 6-7 November 2007. Hampton, M., Donose, B. and Nguyen, A. (2007). Nanoscale friction forces between hydrophobic surfaces. In: Rhodes, M., Proceedings of Chemeca 2007. Chemeca 2007, Melbourne, Victoria, (1999-2004). 23-26 September 2007. Nguyen, Anh V. and Donose, B. C. (2006). Capillarity of nanoscale water bridges: Theoretical and experimental study by atomic force microscopy. In: Proceedings of the 34th Annual Australasian Chemical and Process Engineering Conference. CHEMECA 2006: The 34th Annual Australasian Chemical and Process Engineering Conference, Auckland, New Zealand, (). 17–20 September 2006. Donose, B. C., Taran, E., Vakarelski, I. U. and Higashitani, K. (2006). Effects of Electrolytes and Solution pH on Silica Nanotribology. In: Proceedings of: Material Research Society 2006 Spring Meeting. Material Research Society 2006 Spring Meeting, San Francisco, USA, (). 17-21 April 2006. Donose, B. C., Vakarelski, I. U. and Higashitani, K. (2006). Specific Effects of the Multivalent Cations on Friction between Silica Surfaces in Electrolyte Solutions. In: Proceedings of: The Fifth World Congress on Particle Technology. The Fifth World Congress on Particle Technology, Orlando, USA, (). 24 - 27 April 2006. Taran, E., Donose, B. C., Vakarelski, I.U. and Higashitani, K. (2005). Dependence of Friction Forces between Silica Surfaces on Solution pH. In: Proceedings of The 58th Divisional Meeting on Colloid and Surface Chemistry. 58th Divisional Meeting on Colloid and Surface Chemistry, Utsunomiya, Japan, (). September 2005. Donose, B. C., Taran, E., Vakarelski, I. U. and Higashitani, K. (2005). How Do Hydrated Ions Act as the Lubricant between Silica Surfaces in Solutions? ; A Nanotribology Study in Aqueous Solutions by AFM. In: 79th American Chemical Society Colloid and Surface Science Symposium. 79th American Chemical Society Colloid and Surface Science Symposium, Potsdam, NY, (). 12-15 June 2005. Donose, B.C., Taran, E., Vakarelski, I.U. and Higashitani, K. (2005). Silica surfaces lubrication induced by Multivalent Cation Adsorption. In: Proceeding of The 58th Divisional Meeting on Colloid and Surface Chemistry. The 58th Divisional Meeting on Colloid and Surface Chemistry, Utsunomiya, Japan, (). September, 2005. Vakarelski, I. U., Donose, B.C., Taran, E. and Higashitani, K. (2005). Silica surfaces nanotribology in aqueous solutions, Australian Colloid and Interface Symposium. In: Proceedings of: Australian Colloid and Interface Symposium. Australian Colloid and Interface Symposium, Coogee Beach, Sydney, (). 13-17 February 2005. Nor, I., Taran, E., Donose, B., Scutaru, D. and Hurduc, N. (2005). The synthesis of graft polysiloxanes using the ATRP reactions. AFM study of the catalytic system Cu(0)/Bipyridyl. In: The 4th National Conference New Research Trends in Material Science, Constanta, Romania, (). 4th - 6th September, 2005. Taran, E., Donose, B. C., Vakarelski, I. U. and Higashitani, K. (2005). pH Dependent Friction Forces between Silica Surfaces measured by AFM. In: 8th Japan-Australia Colloid and Interface Science Gakkai. 8th Japan-Australia Colloid and Interface Science Gakkai, Terrigal, NSW, Australia, (70-70). 27th - 30th November 2005. Donose, B. C., Vakarelski, I. U. and Higashitani, K. (2004). Friction forces in aqueous solutions. In: Funtai Kogakkai Kenkyu Happyokai Koen Ronbunshu (Journal of the Society of Powder Technology, Japan. Proceedings of Annual Meeting of Japan Society of Powder Technology). Society of Powder Technology Japan Meeting, Kyoto, Japan, (3-5). 18-19 May 2004. Donose, Bogdan C., Vakarelski, Ivan U and Higashitani, Ko (2004). Friction forces in electrolyte Solutions. In: 10th Asian Pacific Confederation of Chemical Engineering (APPCHE). 10th Asian Pacific Confederation of Chemical Engineering (APPCHE), Kitakyushu, Japan, (). 17-21 Oct 2004. Donose, B. C., Vakarelski, I. U. and Higashitani, K. (2004). Lateral Force Microscopy Study of Friction between Plasma Hydrophilized Silica Surfaces in Electrolyte Solutions. In: Koroido oyobi Kaimen Kagaku Toronkai Koen Yoshishu. The 2004 Japan-Australia Symposium, Tokyo, Japan, (265-265). 9-11 September 2004. Donose, B. C., Vakarelski, I. U. and Higashitani, K. (2004). Lateral force microscopy study of the friction between silica surfaces in electrolyte solutions. In: Proceedings of the AIChE 2004 Annual Meeting. AIChE 2004 Annual Meeting, Austin, Texas, USA, (2555-2558). 7-12 November, 2004. Petraru, L., Taran, E., Donose, B. C., Higashitani, K., Asandei, A. D., Sauvet, G. and Hurduc, N. (2003). Poly(siloxane-g-styrene) and poly(siloxane-g-methylmethacrylate) by CuCl or Cu(0) catalyzed ATRP from benzyl chloride derivatized polysiloxanes. In: W. Binder, 6th Austrian Polymer Meeting. XXI st International H. F. Mark-Symposium. 6th Austrian Polymer Meeting. XXI st International H. F. Mark-Symposium, Vienna, Austria, (S-153-S-153). 15-17 September 2003.